I first heard of the West Coast rapper when I was trawling through my usual blogs on a Sunday a couple years ago, and discovered him from The Hundreds website/blog. And to this day, Alexander Spit is still an under-rated artist. The first record I heard from him was “The Hundreds Presents… Until Next Summer“ and it’s still a record I listen to often. I’ll admit before I decided to give Spit’s new EP a complete lesson, it was pretty late at night and I was sitting on the fence about whether I should go to sleep or keep writing. I decided with the latter and put on “A Breathtaking Trip” to be my soundtrack to get me in the zone. The title track, ‘A Breathtaking Trip’ featuring BAGO, kicks off the EP with an interesting sound that immediately caught my attention. The random bouts of laughter during the intro was a little bit eerie for me, but then we hear Spit go in on the track with such fire and energy! I have to give a special mention to the last track, ‘Rain Dance’ too. 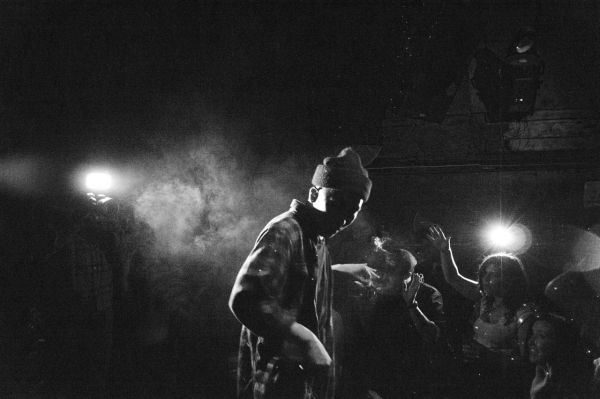 The tune highlights how much of a hustler the Los Angeles-based rapper really is… I love the interlude style of the track as we hear it being broken down and then picking back up again as we hear him spit (no pun intended) to the trippy track. The EP includes 5 self-produced tracks with features and assistance from BAGO, CBG & Brian DaMert of The Tambo Rays. The vibe of the entire record is quite surreal with its psychadelic instrumentals, but tapping into the writer within me, it’s Spit’s songwriting and lyrics that really struck a chord with me. With only 5 tracks on the record, by the time I reached the end of the EP, I immediately went back to the beginning, and found myself listening to it over and over. The EP is a prelude to the release of Alexander Spit’s album “A Breathtaking Trip To That Otherside”, and I am definitely looking forward to that release, if this 5-track record is anything to go by. Download Alexander Spit’s “A Breathtaking Trip EP” for free NOW. Our buddy Ta-ku from Perth is setting forth upon a musical journey and we’re all invited – at least for the next 25 nights. 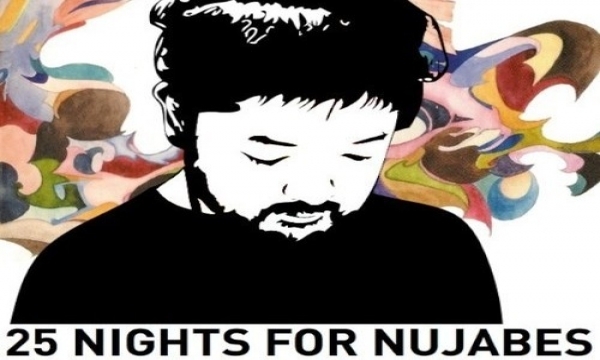 His latest project, ’25 Nights for Nujabes’, is exactly what the title tells us: a new beat released each night inspired by the late Nujabes for 25 nights.